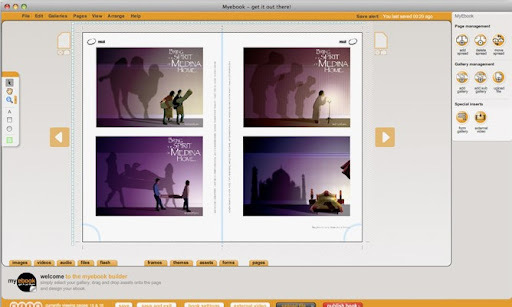 Myebook is a web service that helps you make your own e-book and publish it online. It offers a powerful, web based tool that makes e-book so easy. It has two ways to create your e-book, one is from PDF file that you can upload. Another one is from scratch, you make an e-book manually, but it is still very easy, just do it step by step. 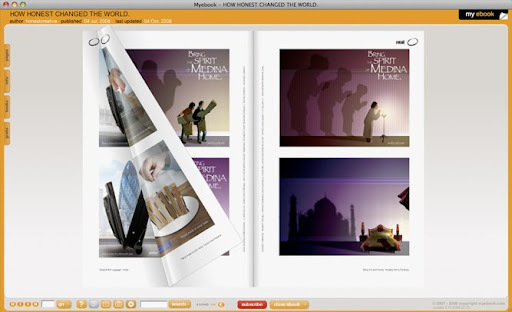 After you created e-book, you can preview and publish it by one click. You also have a home page after you registered an account, it will display your published e-book. It is a good way to share your e-book with your family and friends. The good point is Myebook has a powerful platform that allows you to embed or link videos, audio, documents, images and flash files to your e-book, makes your e-book fully interactive. Now, Myebook is free for register, you can create any e-book without limited.